You got a new job. Congratulations are in order. So when should you update your LinkedIn, Facebook, and other social media platforms to reflect your new role as Account Guru at XYZ Company? Some would say that it’s best to wait until after your probationary period. But we’re in an era of promotion and referral pollination. Why not update it now, right? Before we answer that definitively, one way or another, let’s go over something that was remiss from the first paragraph of the story: your name. Let’s preface all of this for a moment. Imagine you were given an opportunity to work for the exact same company, in the same role- or a similar role, but to do so, you had to “buy in”. Not just with time, or effort, but actually with tangibles. Would you do it? Let’s simplify this even further. Your initial financial investment goes towards XYZ Company merchandise, which you will personally sign off on, as something you personally endorse. This may seem ridiculous, in theory, but this is essentially what most do with the companies they work for. You join XYZ Company, and while there may be no financial buy-in, there IS certainly a time commitment, a labor commitment, emotional commitment, and many other commitments to consider. You become an instant advocate for the company, recommending their products or services to family, friends, former colleagues, and anyone else that will listen. You post pictures of yourself at events, and the public quickly associates your likeness with XYZ Company. Their values may not align with yours, but the world knows no difference. They may not be loyal to you, but you have lent your name to their brand, signing off on it as something that you endorse wholeheartedly. When the day comes that you part ways with XYZ Company, and you join another, you will once again, in all likelihood, secure your name to that of the new company. Your endorsement is up for grabs, and over time, it will mean less and less, as you hastily attach it to any company that will hire you. Are you simply an employee of the XYZ’s of the world, or is there more to you and your personal brand offering, and you just happen to partner with a company, product or service? Don’t devalue your name. 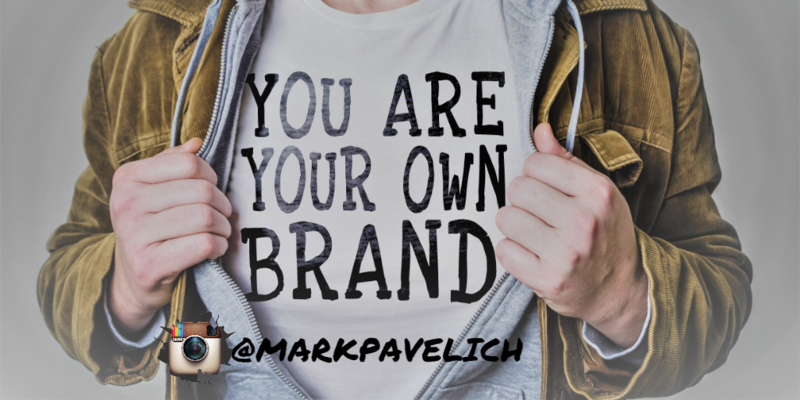 Develop your personal brand.